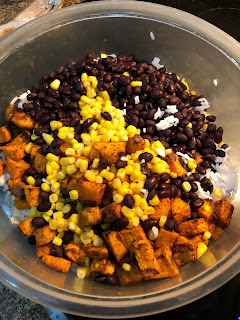 Dice sweet potatoes with 1 tsp each: onion powder, garlic powder, chili powder, cumin, salt, cayenne or chili powder, salsa. Cook in the oven for about 20 mins. Take 3/4 cup rice and prepare it, refrigerate over night. Stir in sweet potatoes, 1 can drained black beans, and 1 can drained corn. Prepare burritos, and top with salsa, vegan cheese, guacamole, and/or vegan sour cream. 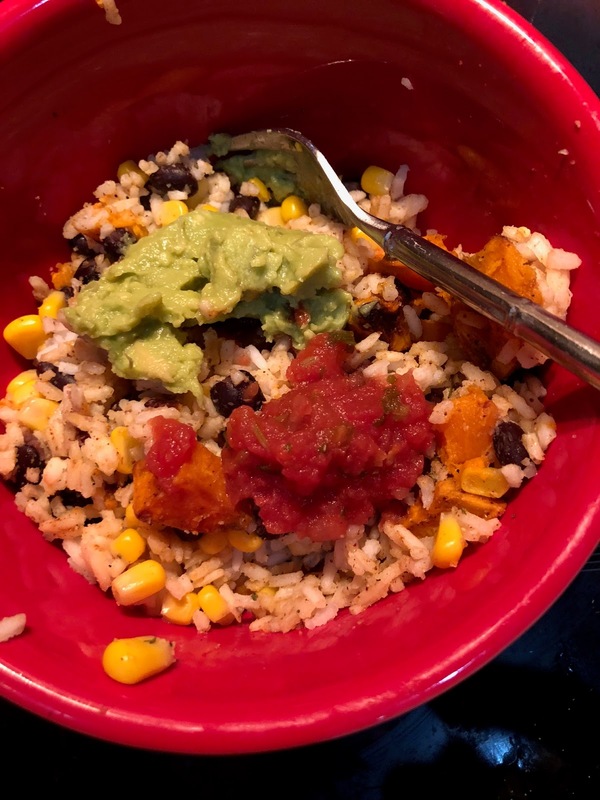 Also works very well as a bowl with guac on top.